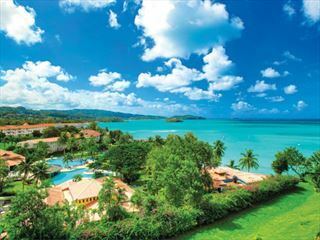 Set on 27 acres of tropical plantation, surrounded by luscious flora, the Stonefield Estate Resort is part of a World Heritage Site. Steeped in history and culture, some of the structures remain from the earlier plantations, including a nature trail which takes you through the Arawak carvings from the early island settlers. This is a truly amazing resort that you’ll want to explore from the moment you arrive. 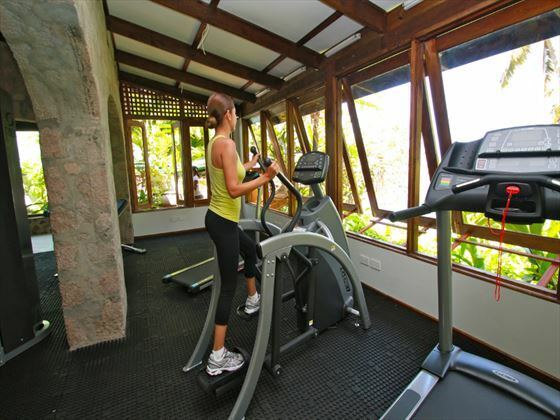 There are 17 villas, each with a distinct but welcoming feel. Comprising a four-poster bed, living and dining area, kitchen, outdoor shower and large veranda with a pool and hammocks, this is the perfect place to relax and get away from it all. 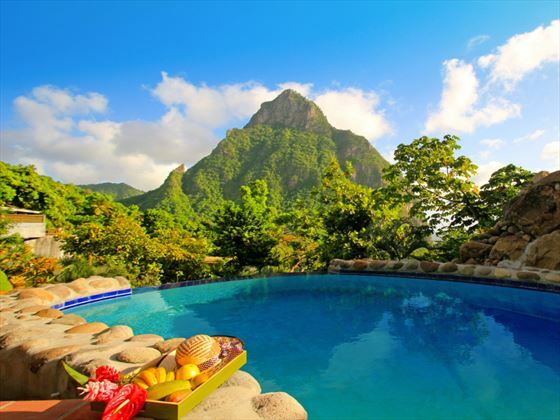 The views here are dramatic and breath-taking, with sensational Piton vistas from the grounds. 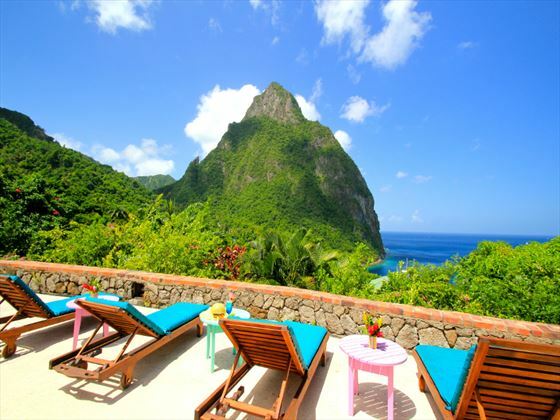 Top tip: The best view of Petit Piton is from the Mango Tree Restaurant – it’s also a prime place to take in the spectacular sunset. 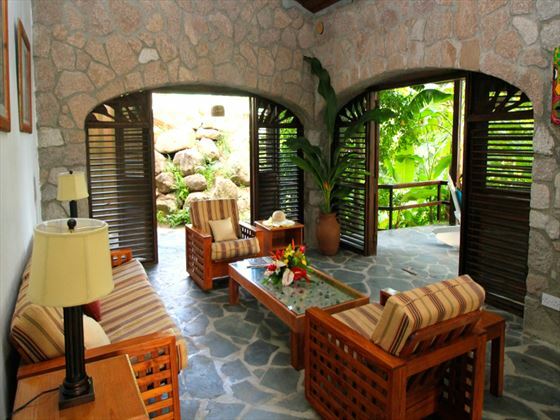 The villas at the resort are spacious and bright, with classic French Colonial-style interiors. 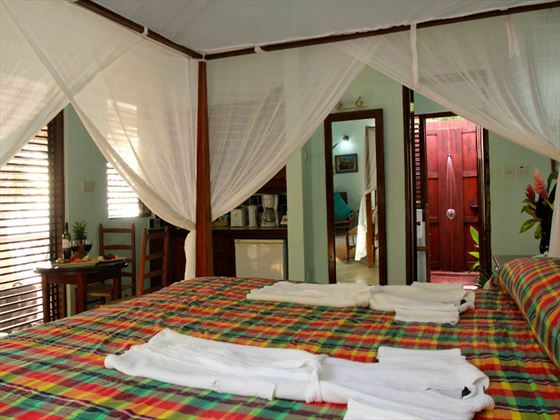 1 Bedroom Garden View Villa - 693sq ft. with a garden view, a fully equipped kitchen, dining room, four poster queen size bed and semi outdoor shower. 1 Bedroom Ocean View Villas - 916sq ft. with ocean view, a kitchenette, four poster king size bed and outdoor shower. 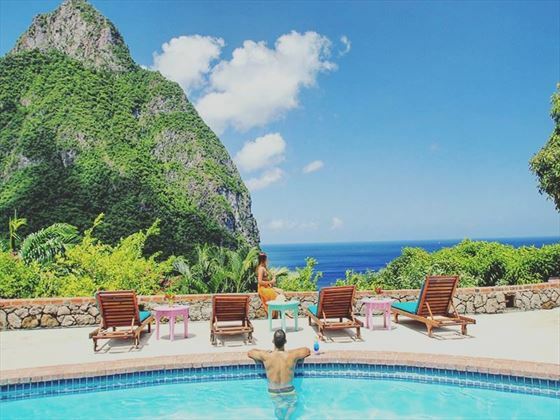 1 Bedroom Majestic Piton & Ocean View Villa - 1557sq ft. with Piton and ocean view, a kitchenette, four poster king size bed and outdoor shower. 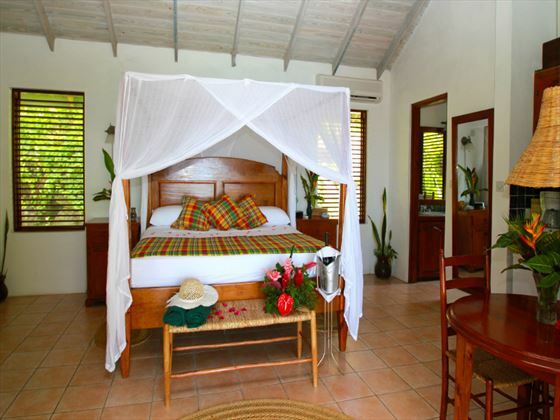 1 Bedroom Hillside Ocean View Villa - 1254sq ft. with ocean and Piton view, fully equipped kitchen, dining area, living area, four poster king size bed and outdoor shower. 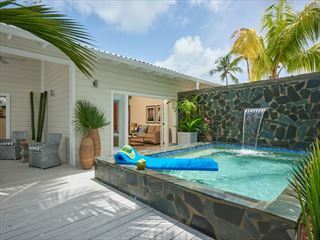 1 Bedroom Majestic Hillside Ocean View Villa - 1534sq ft. with ocean and Piton views, fully equipped kitchen, dining area, living area, four poster king size bed and outdoor shower. 2 and 3 Bedroom Villas also available. 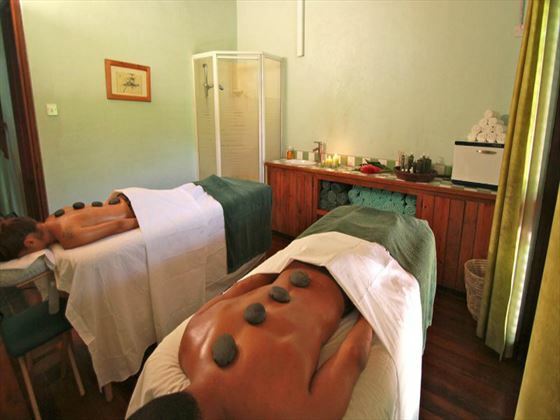 The Bamboo Door Spa - features a cozy atmosphere that sets the pace for true relaxation, with botanically-based products designed especially by Green Papaya® Lifestyle Products. Meditate in the new Yoga Pavillion. Babysitting is available at an extra charge. No children under 4yrs old are permitted. 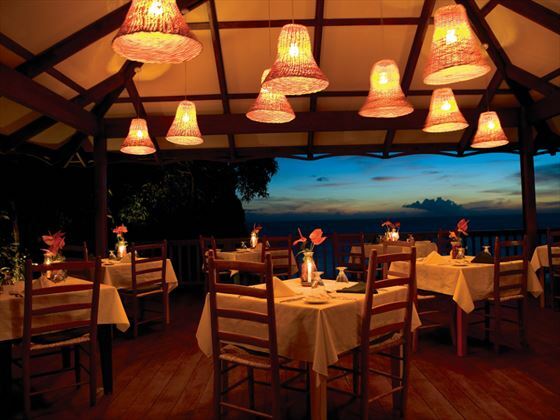 Mango Tree Restaurant – Open for breakfast from 7.30am until 10.30am and for lunch and dinner until 10 pm. Features a special Vegan Menu and Children’s Menu (sample menu available on request). The Bar offers an array of cocktails using ripe fruits and local rum. Prices include full breakfast. A full board package is also available on request at the time of booking which includes breakfast, lunch and dinner with non-alcoholic and non-premium alcoholic drinks during lunch and dinner (bottled wines, premium liquor and certain menu items are chargeable). 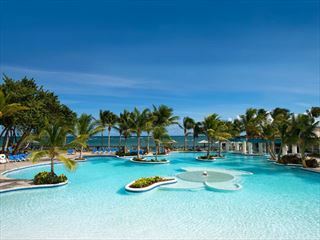 Please note this is not an All Inclusive Resort, but the perfect base from which to explore the local area.